Lately, the headlines have been dominated by stories about how badly emerging markets (EMs) are doing. Indeed, EM stock markets are down by as much as a third or more in dollar terms. The iShares MSCI Emerging Markets ETF (EEM), for instance, is trading at May 2009 prices. Compare that to the U.S. market, which stands at double that level. All told, it may be time for some bottom-fishing. However, for income investors, stock markets might not be the best place to cast a line. Instead, emerging market bonds look like the better option. Now, it’s true that EM bonds have one major disadvantage to EM stocks. That is, their tendency to come from countries in which you wouldn’t want to invest. Whereas EM stocks arise primarily from the growth economies of Asia, EM bonds have a tendency to come from countries such as Russia and Brazil. In the iShares JPMorgan Emerging Markets Bond ETF (EMB), the largest country weighting is for the Philippines, but the rest of the top 10 are Russia, Turkey, Indonesia, Mexico, Brazil, South Africa, Hungary, Colombia, and Poland. Of those, I wouldn’t want Russia, Turkey, Brazil, or South Africa. Call me fussy, why don’t you! Another problem is that truly solid emerging market bonds trade at foolishly small premiums to Treasuries. The Philippines, for example, is an excellent credit risk because it runs balance of payments surpluses almost every year and is currently running budget surpluses, as well. Yet its bonds are rated only BBB, and 10-year Philippines bonds yield 3.26%. That’s a premium of just 1.06% over 10-year Treasuries. I really can’t get excited about that kind of yield. Luckily, you can improve the risk-return equation in emerging market bonds if you buy bonds denominated in local currencies. As often happens, “currency risk” is really “currency opportunity.” Because of the panic this summer, emerging markets currencies have been knocked down by 20%, 30%, or even 40% against the dollar – even though most emerging markets don’t currently have significant inflation. That makes local currency EM bonds a better deal than dollar bonds. On top of that, emerging markets control the supply of their own currencies, and therefore almost never default on local currency bonds. On the other hand, they quite often run out of dollars and are forced to default on dollar bonds. Also, in a crisis, local currencies tends to slide against the dollar, making dollar bonds a much larger burden at the worst possible time. The iShares JPMorgan Emerging Markets Bond ETF is the largest emerging market bond fund and is linked to the J.P. Morgan EMBI Core Index. It’s a $4.2-billion fund with expenses of 0.59% of assets and a yield of 4.5%. Most important, the fund is currently 6% above its price on the first day of trading in February 2008, before the financial crisis. Thus, it’s a reliable, recession-proof home for your money. Its price will get zapped in a downturn (at the bottom in 2009, it traded 29% below its February 2008 price, much better than stocks), but it’ll recover once the global economy stabilizes. 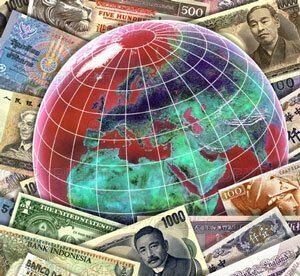 The Market Vectors Emerging Markets Local Currency ETF (EMLC) invests in local currency debt of emerging market governments, attempting to replicate the J.P. Morgan Government Bond Index Emerging Markets Global Core Index. EMLC is the largest local currency emerging market bond index, but because emerging market currencies have fallen this year, its performance is worse than EMB year to date. Still, it’s a $1.2-billion fund with a competitive expense ratio of 0.47% and a nice 6.4% yield. It has only been running since 2010 and has fallen 30% since then, but for reasons outlined above, I like its chances going forward. Finally, if you want actively managed emerging market bonds, the WisdomTree Emerging Markets Local Debt ETF (ELD) is for you. This $480-million fund invests in local debt denominated in emerging markets currencies. It has an expense ratio of 0.56% and a running yield of 5.8%. Like EMLC, it was formed in 2010 and has lost about 30% of its principal value since then. But it should do better going forward.